Summer is just around the corner and for a lot of Australians it’s a time to kick back and enjoy holidays. And what better way to enjoy your summer holiday than spending time in your new Canberra verandah or patio. Where’s the best place to locate my outdoor area? 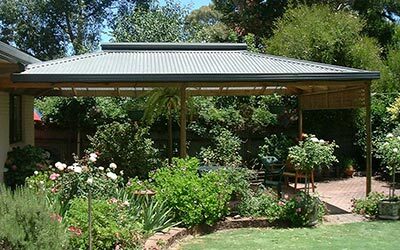 For most homeowners, the best location for your new Canberra verandah or patio is close to the kitchen, so you don’t have too far to go to get food and drink. However, if you include an outdoor kitchen in your new outside area, complete with fridge, this is less important. Other potential locations can include somewhere where you’ll have a view or, alternatively, a quite place where you’ll enjoy complete privacy. If you have large opening doors leading from your house, you might want to take advantage of this feature when deciding where to locate your outdoor area. What’s the best design for my Canberra verandah or patio? This will depend on a number of factors. For example, what’s the style of your house? What elements will you need to consider, such as the westerly sun in the afternoons or cool prevailing breezes? What do you want to include in your outside area – a spa, an outdoor kitchen or simply room for a table and chairs? Timber, steel, aluminium, polycarbonate roofing, tiles, insulated roofing panels… There are a seemingly endless number of choices to make. Which you should choose will depend on your home, the look you’re after, your needs and how much maintenance you’re prepared to do. If you want to make your outdoor living dream a reality this summer, call Outside Concepts today. We can help you develop the best design for your new outdoor living area, with our free quote and design service, and help you make all the important decisions.